Prior to being at Food Network, Jeff was a freelance Supervising Producer in Los Angeles working with production companies that included Magical Elves, Bunim/Murray Productions, Ryan Seacrest Productions, and World of Wonder. 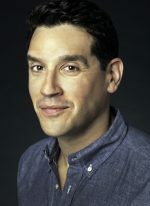 A graduate of McGill University, Jeff has an MFA in Fiction from Brooklyn College (CUNY), and his debut novel, “Failure to Thrive,” was published by DC Books in 2012. Jeff’s wife, Liz Blazer, is an award-winning filmmaker, art director, visual artist, designer, animator, and educator. She also happens to have co-designed the “Two Plate” book cover. The two live together in suburban New York City with their son. 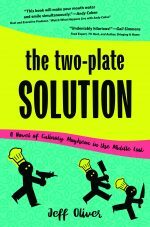 The Two-Plate Solution is a satire about reality TV cooking competitions that features a diverse cast of chefs, TV producers, and terrorists-turned-cheftestants! It’s fun and a bit wild, but the author takes the characters and the food very seriously.